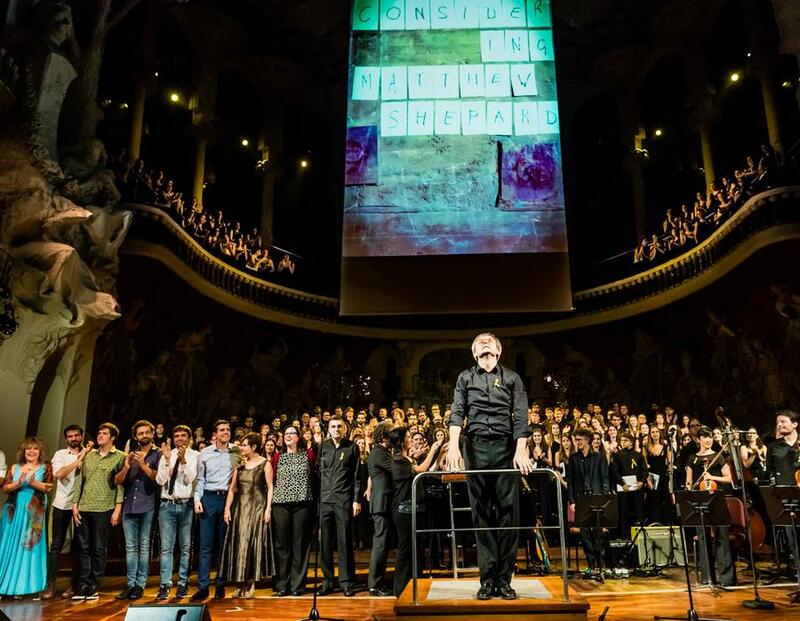 On Saturday, October 21, 2017, the Orfeó Català, the Cor Jove and the Cor de Noies of the Orfeó Català, directed by Simon Halsey, starred in the inaugural concert of the 2017-18 season of the Orfeó Català-Palau de la Música Catalana Foundation with the European premiere of the play Considering Matthew Shepard by Craig Hella Johnson. 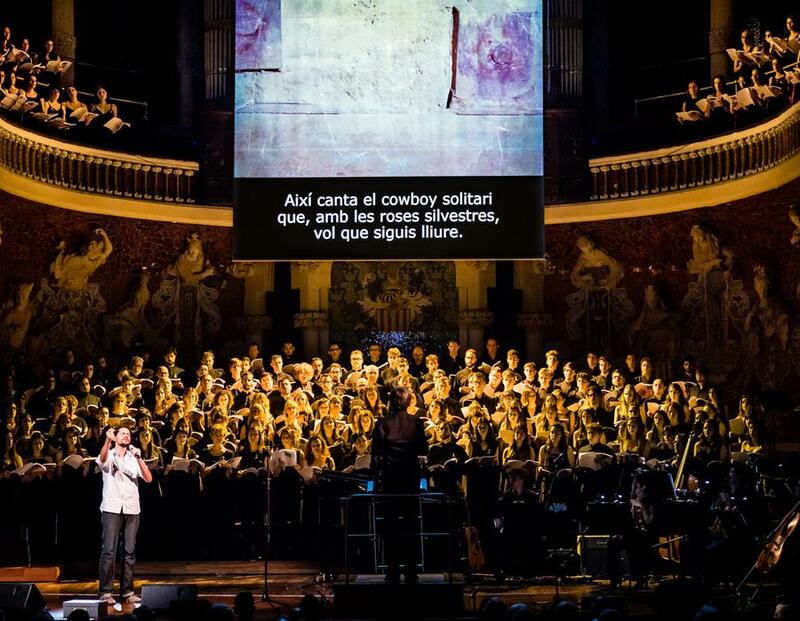 Based on the real story of the murder of the young Matthew Shepard, the parallels with the martyrdom and death of Christ and a kind but impressive and overwhelming music make this work an authentic modern Passion. 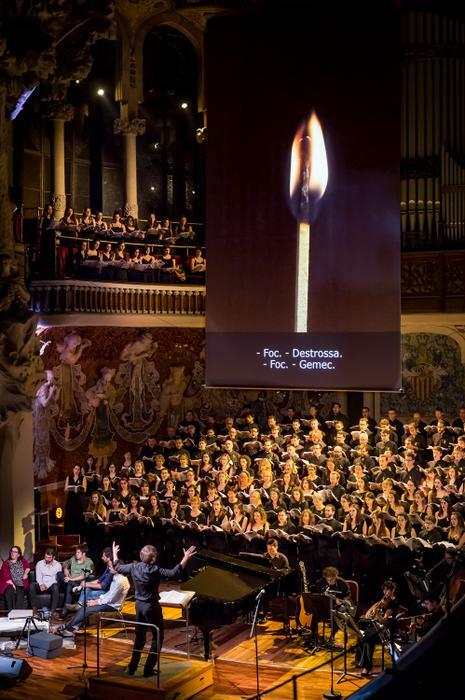 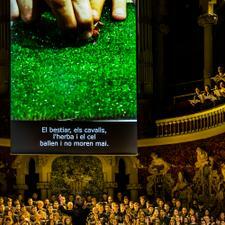 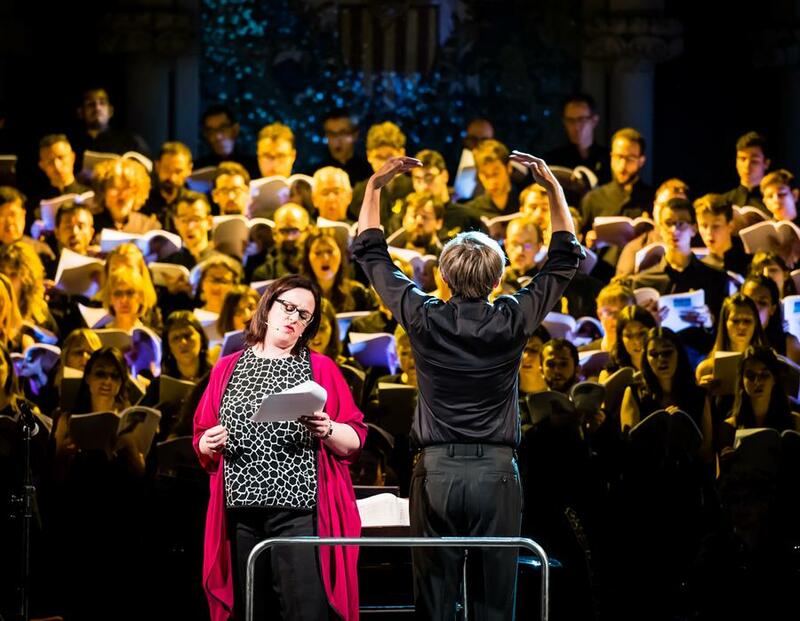 A play of great dimensions that supposed a new artistic challenge for the choirs, a new incursion in the contemporary choral repertoire and again a prominent place in the programming of the Palau de la Música Catalana. 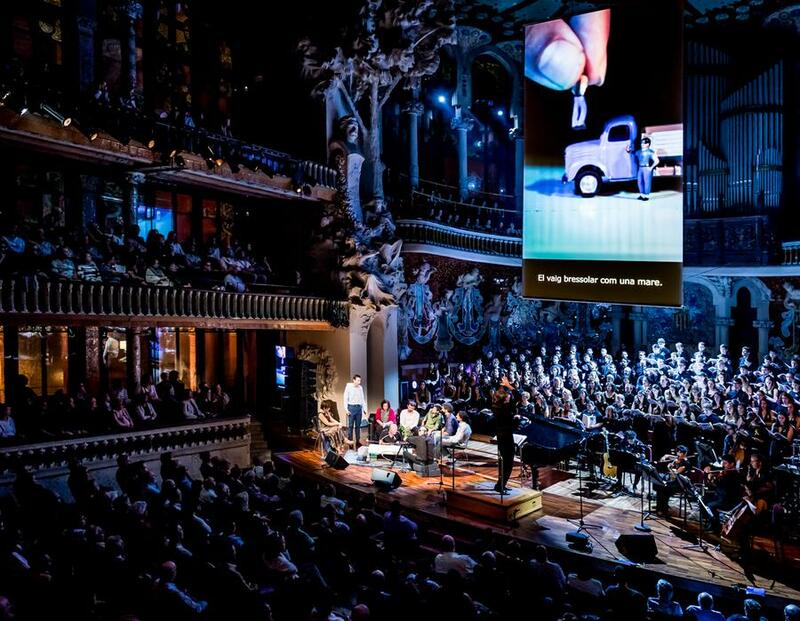 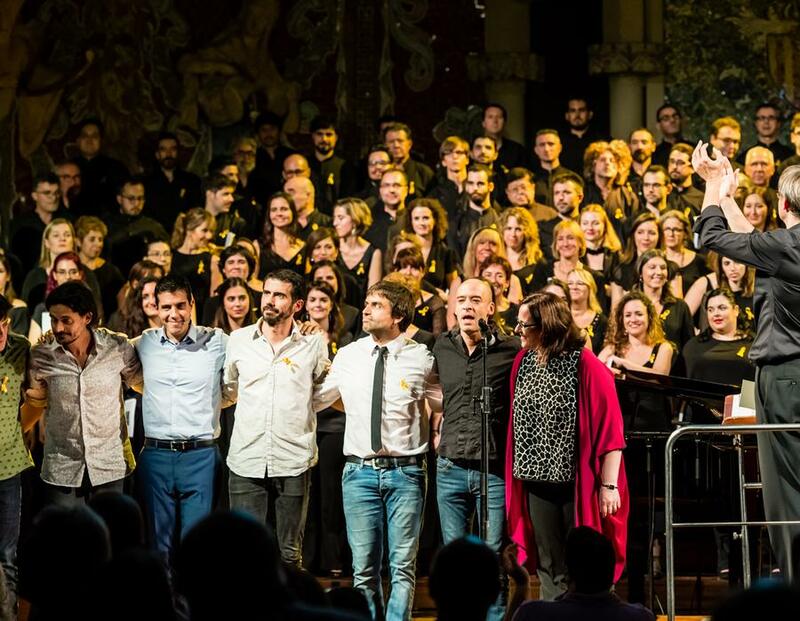 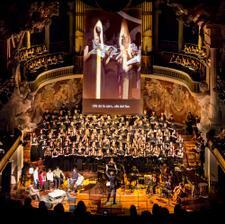 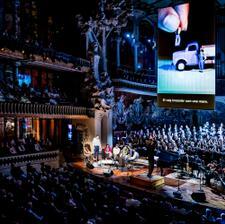 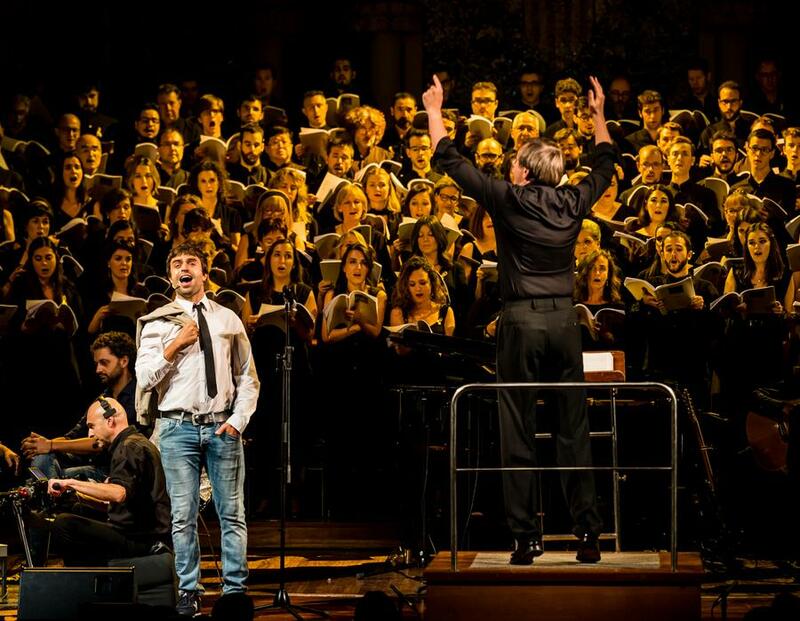 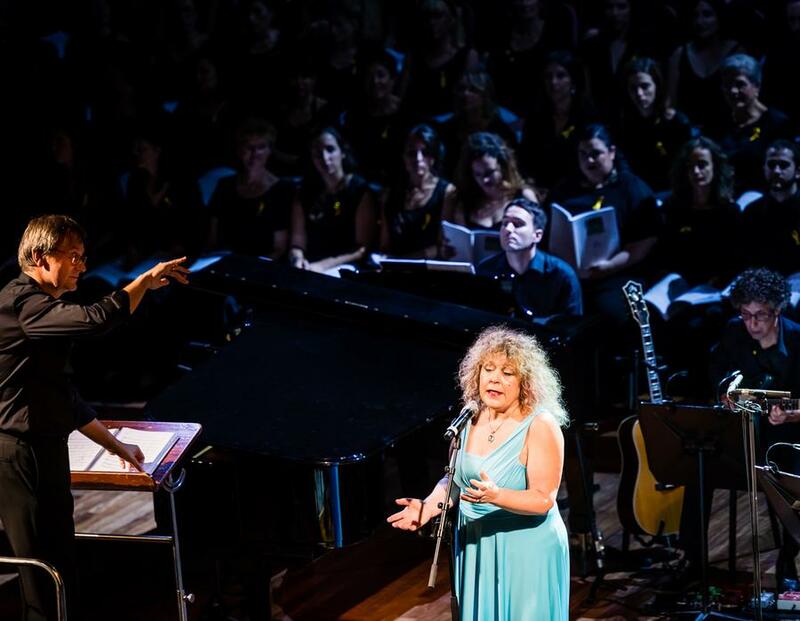 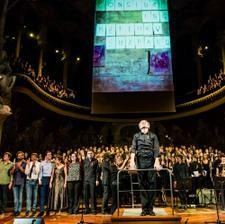 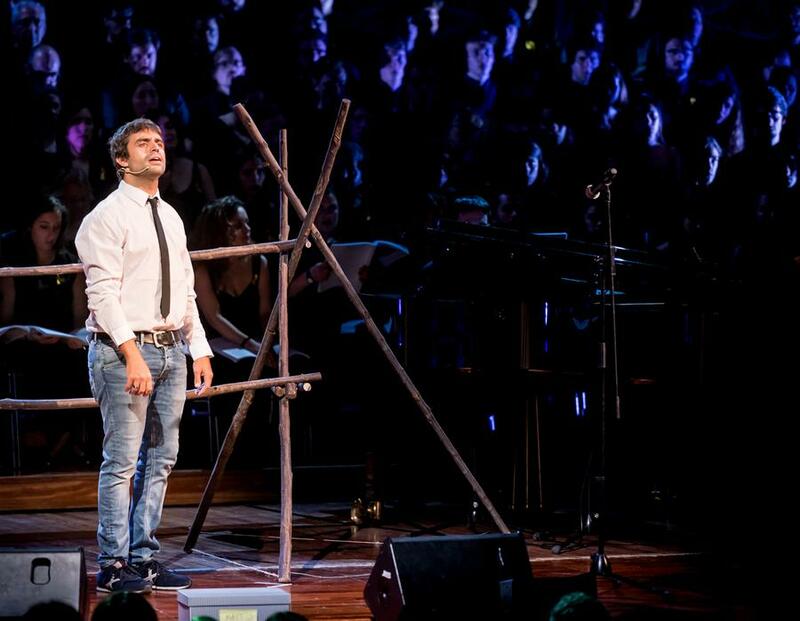 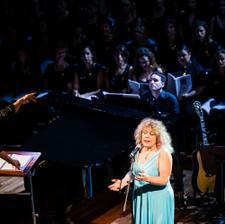 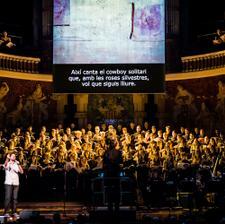 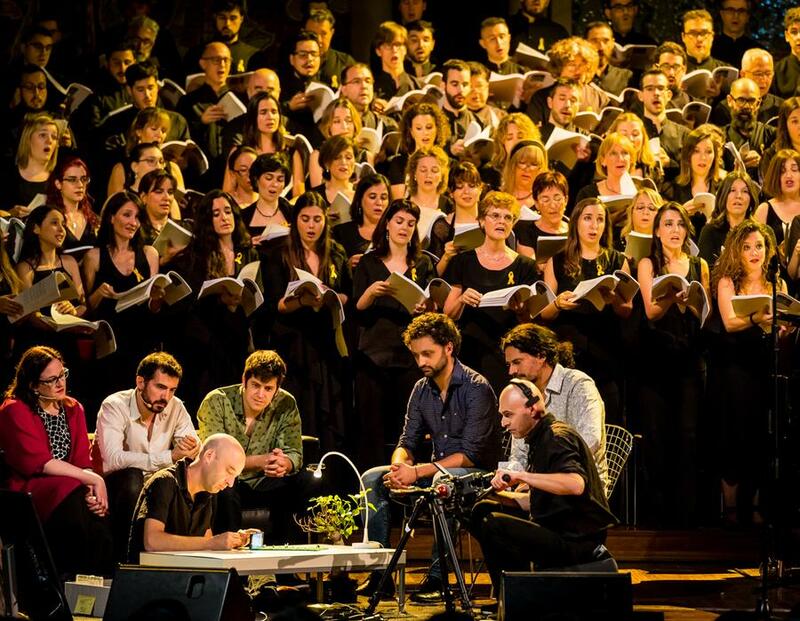 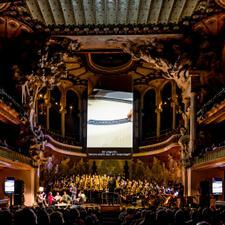 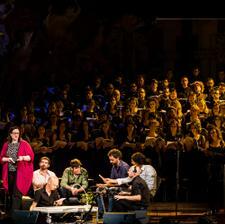 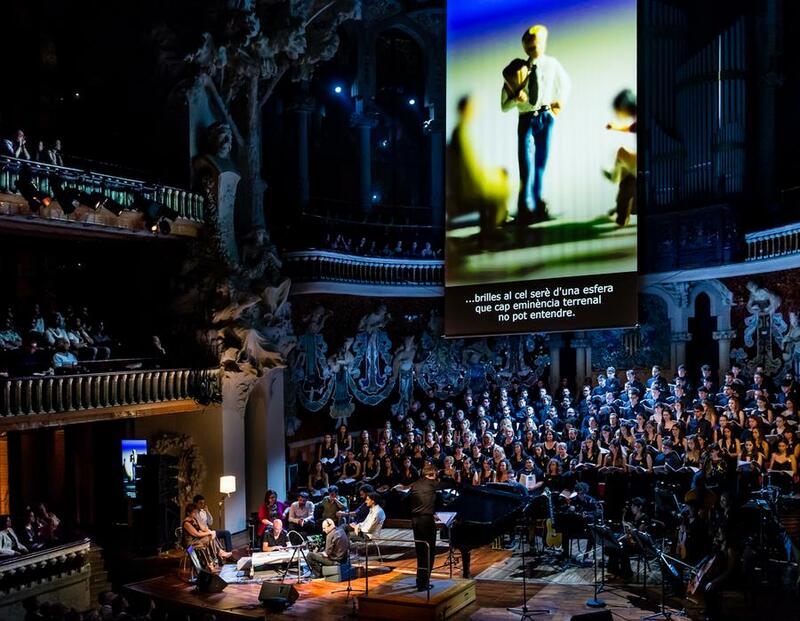 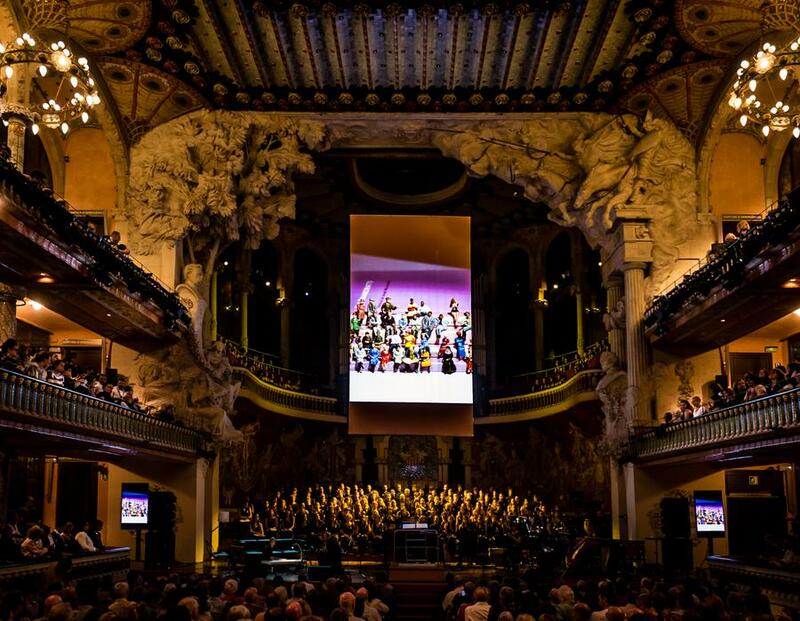 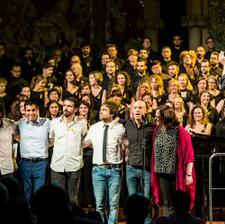 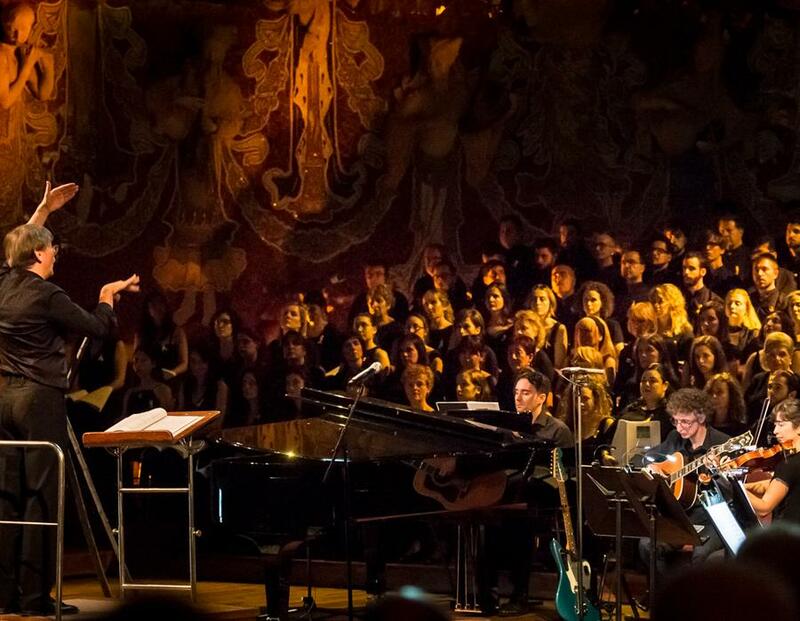 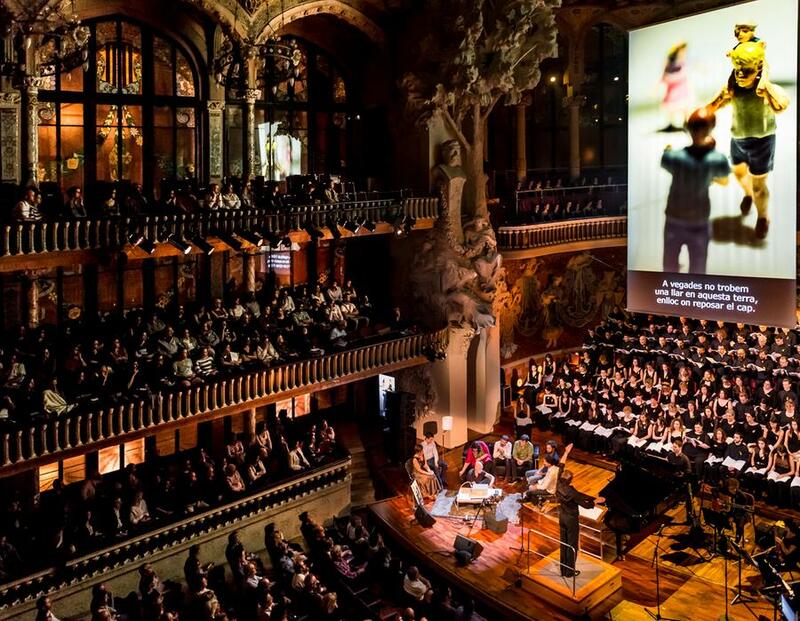 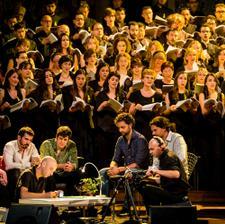 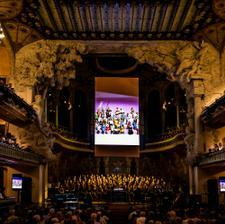 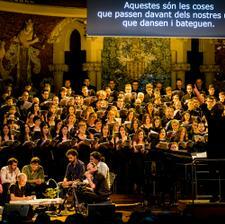 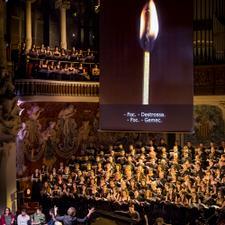 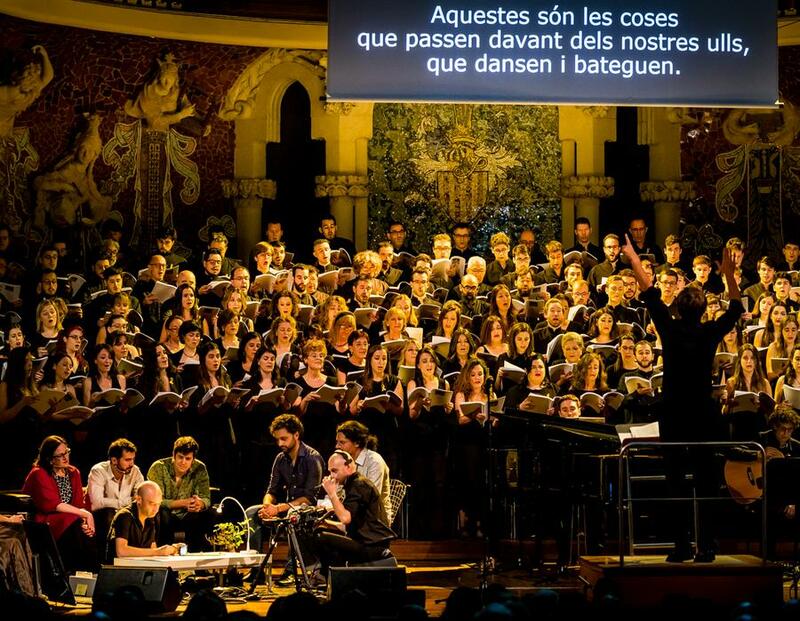 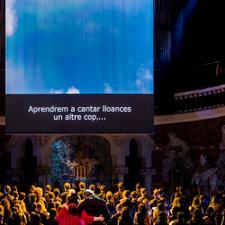 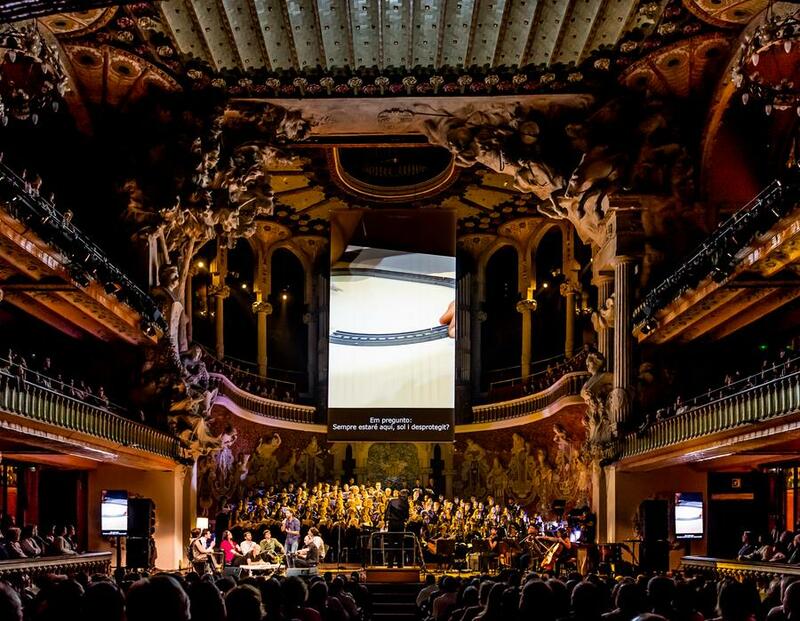 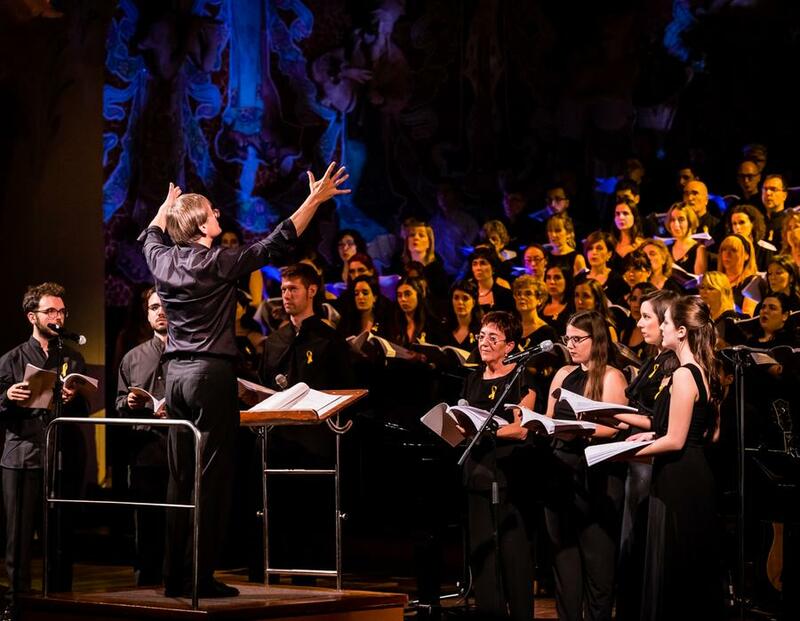 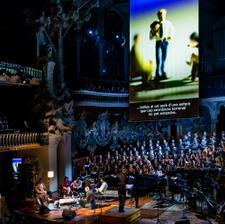 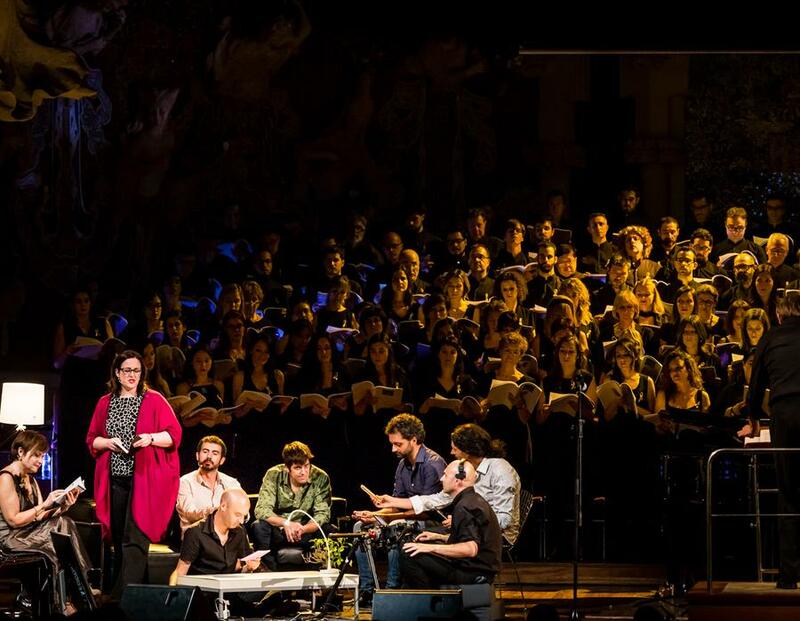 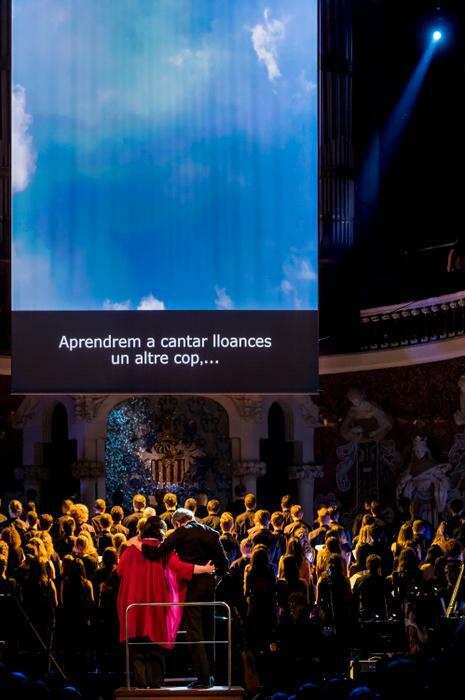 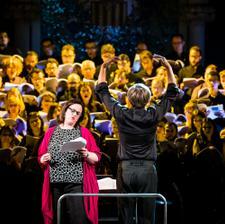 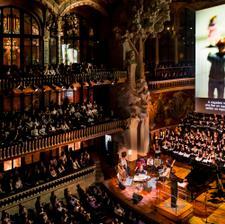 Along with the choirs of the Palau, Marta Mathéu, Marina Rodríguez Cusí, Manu Guix and Joan Martín-Royo participated as vocal soloists, with the special collaboration of Els Amics de les Arts and Big Mama Montse. 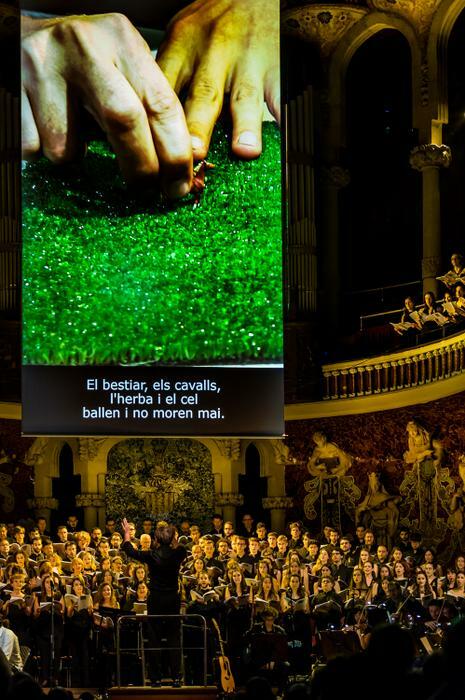 This first audition in Europe of Hella Johnson's play also featured a staging by La Brutal (David Selvas and Norbert Martínez), which included video projections. 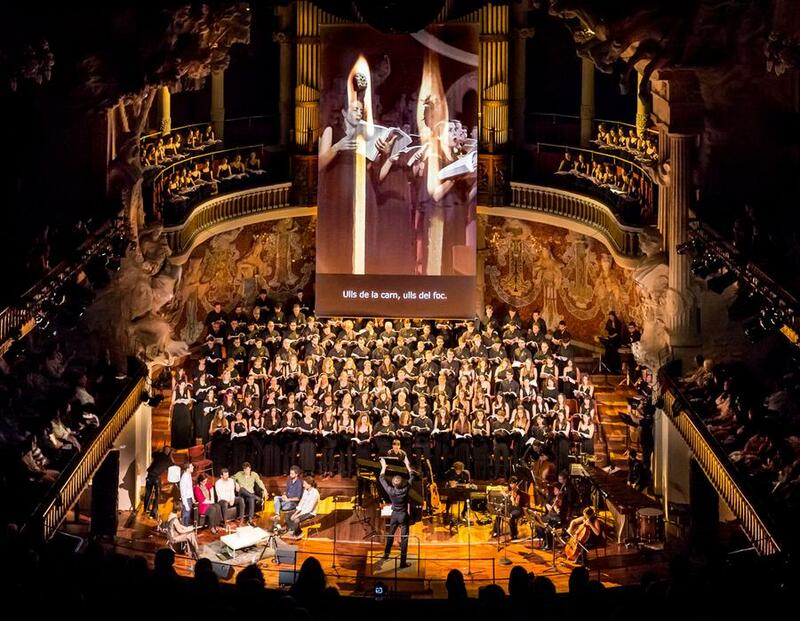 And the intervention of visual artist David Espinosa, who with his miniatures recreated the story of Matthew, with different characters, among which the figure of the father, who had the support of the voiceover of the actor Lluís Soler. 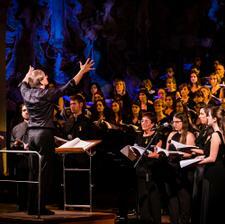 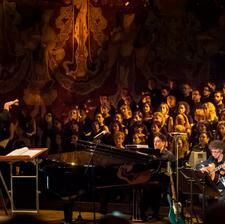 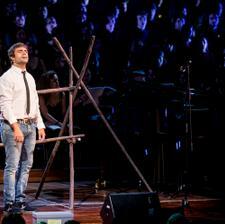 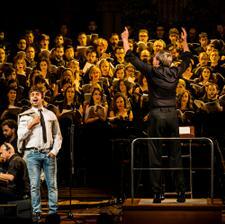 We leave you some images of the concert by the photographer Lorenzo di Nozzi.